New Poetry House Library in Battery Park. Comprised of a special liquid latex, rubber fillers and reinforced with Kevlar®, LATICRETE® Sound & Crack Adhesive reduces impact sound transmission and provides exceptional anti-fracture protection – all in one simple step! Just mix, spread and set! 2. Click on Cost Savings under LATICRETE 125 Sound & Crack Adhesive. 3. Use the cost comparison form to help you consider the real cost of your current installations vs. the cost of using LATICRETE 125 Sound & Crack Adhesive. 4. Click print for the completed cost comparison plus a 10% rebate offer on your next purchase of LATICRETE 125 Sound & Crack Adhesive. Grout Colors, and Technology, Change. Please Keep Up with the Changes ...! 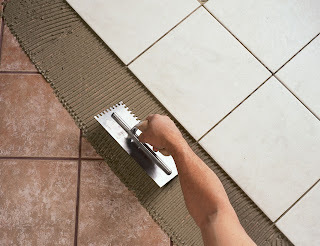 Specific Laticrete grout colors will no longer be manufactured beginning July 1, 2009 in both our LATICRETE® 1500 Sanded Grout and LATICRETE 1600 Unsanded Grout series. The following colors will be discontinued in the 1500 Sanded and the 1600 Unsanded series beginning July 1, 2009. These colors will be available in LATICRETE PermaColor™ Grout and LATICRETE SpectraLOCK® PRO Grout. Please contact your local LATICRETE Representative if you have questions......! LATICRETE offers a comprehensive 100% labor and materials warranty for tile and stone installations. Underwritten by a AAA rated Global Insurance Company. With over 50 years of worldwide experience, LATICRETE is the recognized leader in product quality and installation expertise. LATICRETE warranties cover any suitable tile or stone manufacturer’s product, allowing you to select the appropriate product and finish you desire for your project with confidence. Customizable warranties are available to suit your specific project requirements. 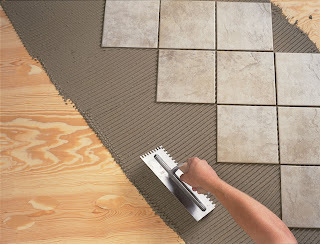 Laticrete offers the most comprehensive assortment of tile and stone installation materials available for virtually any tile or stone application around the world. Our highly trained and experienced Technical Support personnel stand ready to assist you with project specifications, details, LEED compliance information, and to address any installation questions for your project. For over half a century Architects, Engineers and Developers have trusted LATICRETE with their tile and stone installation needs. Let our global experience, product quality and technical support assist you on your next project – no matter where it is. Please visit www.laticrete.com for product data sheets and more information. Whether destined for a Professional Tile Installer or a Do-It-Yourselfer, every Laticrete product is designed, engineered, manufactured and extensively tested at one of the Laticrete facilities across the USA or around the world. This is our Second Generation commitment to product innovation, jobs, superior quality, and a square deal for our customers & end users. "My uncle uses only SpectraLock on all his custom home projects. 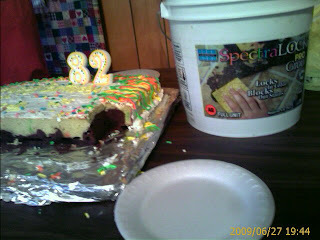 We had a birthday party for my grandfather who turned 82 and a SpectraLock bucket made a nice ice bucket for homemade ice cream, thought you would find it amusing." 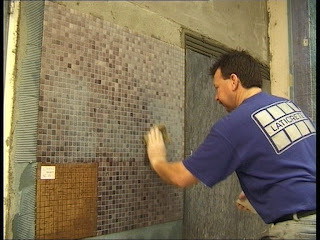 This photo series shows the One Step Method for Installing & Grouting Glass Mosaic Tiles. 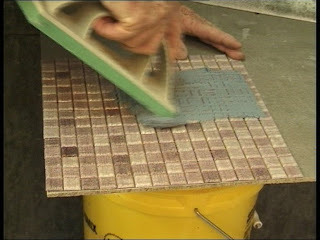 A Colored thinset can be used to provide a complementary or contrasting color of adhesive and grout. For more info and a step by step procedure, click here. Or contact Laticrete Technical Support or your local Laticrete person. 1 (800) 243-4788 x 235 or technicalsupport@laticrete.com. 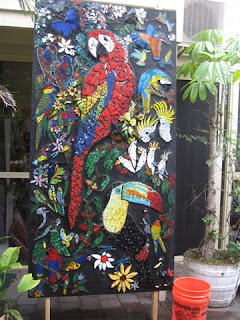 "Not all glass tile is the same. Some scratch and some don't. Your idea to test it on some scrap is a good idea." While we have had great acceptance, use and results with SpectraLOCK with many types of glass tiles on many installations, there are many different types of glass tiles available. 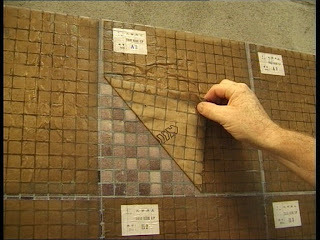 It is best to test the specific grout that you plan on using BEFORE making the final grouting installation...! This is true for SpectraLOCK as well as "normal" Portland Cement based grouts. Have you seen the adverts in the trade journals about the anti-lippage systems or lippage prevention systems for use with large format tiles and stones? 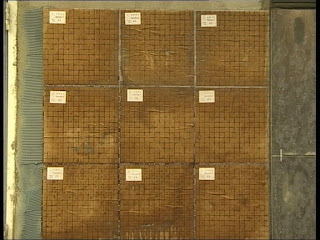 One such system is called the “Tuscan Leveling System” - http://www.tuscanleveling.com/index.html (notice the LATICRETE® 4237 Latex Additive and LATICRETE 220 Medium Bed Mortar being used in the installation video). These systems claim greater productivity and the elimination of lippage. It is important to note that to achieve the productivity claimed, these systems should be used for large format tile (greater than 12”) and the system should only be used to install evenly gauged tiles in order to function correctly. Voids / hollow spots can arise when one edge of the tile / stone is lifted in an effort to prevent lippage. There is potential of breaking the adhesive bond entirely if the adjustment is made after the adhesive mortar has reached its initial set. Walking on the stones / tile while the mortar is still fresh, can also compromise the bond. Part of the strap could still remain in the grout joint. If these systems are used, we would still stress the need to achieve the minimum industry standards for coverage according to ANSI A108 – minimum of 80% for interior non-wet areas and 95% minimum for exterior and interior wet areas. In addition, we would still suggest that a piece of tile or stone is periodically pulled up to verify the adhesive coverage. Although, we are not fundamentally opposed to the use of these systems, we would encourage installers to achieve the minimum industry required coverage standards. In the Tile & Stone Industry we often use specialized "terms" and sometimes various people use these terms to mean slightly or dramatically different things. Here's a Glossary of Ceramic Tile Industry Terms. Click here. And, we have a solution. LATAPOXY® 312 Vapor Reduction Membrane is a roller applied epoxy membrane specifically designed to reduce the vapor transmission from concrete slabs through to a finished floor surface. "Henry, I've said it before, and I'll keep ON saying it. You've got a top shelf company with a top shelf product, and I would seriously feel remiss if I WEREN'T pushing it - not just for your benefit, but for that of the consumers I spend so much time on line trying to help, as well. DATS SOME GOOD ****, MAN!" "Thanks very much for the newsletter, i found it very informative and a little funny as i've recently tried alot of the products mentioned in the letter. 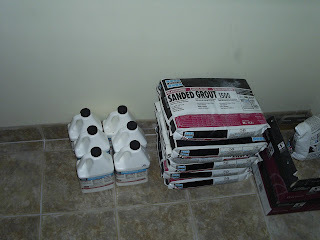 As i said before we started using permacolour grout a while ago and love it, (only my supplier stocks 10 colours, so this job we are on gets 1776 admix with its grout). Today we tried the hydroban and again no problems, went on beautiful and the first coat dried in about 30 - 40 minutes, which was no problem as we had a small bit of drywall work to do on the outside of the shower, then back in with the second coat and then it was time to pack up, ready for tile tomorrow (which we'll be using 255), love the hydroban to and very easy to apply. My helper said we are now officially "hydroed". I also picked up the small containers of your 310 rapid epoxy from my supplier during the week to keep in my truck for certain small projects like setting fixtures, ect. I didn't know the 125 sound and crack adhesive was a new product but i know my local supplier has little samples of it in the showroom and is advertising it. When we finish up this job i'll send you some photos of our progess using hydroban." We're really proud of some of the incredible things that have been accomplished with Laticrete. Click here to see & read about a few of these outstanding Tile & Stone projects. Laticrete operates Globally. We understand the subject of "Standards." We produce Laticrete products in many countries around the world and we meet & exceed applicable standards in each Country, Region & Market. Installing ceramic tile and stone directly over the proper type of properly prepared Plywood is pretty well proven and pretty well accepted. Most major manufacturers of thinsets have products for direct bonding to plywood. More info on LATICRETE 254 Platinum the ultimate one-step, polymer-fortified thin-set is viewable by clicking here. Single Source Responsibility ....? Huh ..? "In the true spirit of one-sourcing your tile installation projects, you can't get any more complete than with Laticrete. 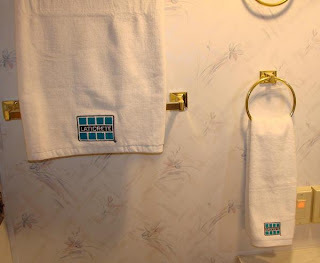 Looky here what today's full bathroom remodel is absolutely not complete without. You got your Laticrete thinset, you got your Laticrete grout, you got your Laticrete waterproofing, you got your Laticrete floor heat, and you got your Laticrete ............."
ps - this is meant to be a bit of humor and not a "Product Endorsement" BUT, if you want a set of Laticrete towels then send me an email: hbrothberg@laticrete.com. First come, first served, the supply is limited. One Incredible Product Replaces the Anti-fracture Membrane and Thinset Combination on projects that need crack suppression. One Incredible Product Replaces the Sound Control Mat and Thinset Combination on projects that need sound control. LATICRETE® 125 Sound & Crack Adhesive offers incredible sound protection with straight forward proof to back up the claim. 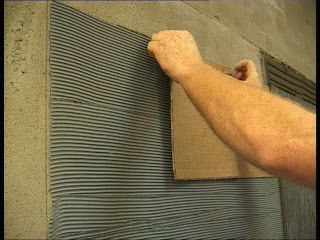 Save $$ on installations where you need Crack Isolation or Sound Suppression. And get a 10% Rebate. Offer good on purchases made from June 15, 2009 to August 15, 2009 on LATICRETE 125 Sound & Crack Adhesive only. OK, now for something "Technical .....!" 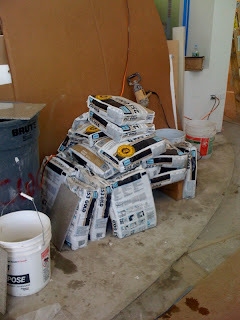 A lot of what we do when installing Ceramic Tile & Stone revolves around Portland Cement. Want to know a bit about the subject of Portland Cement and "How It Works ..?" 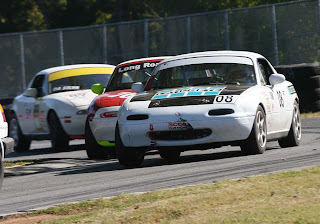 I've raced four times and won four times .... we're tied for the Southeast Division Championship and fully intend to win! Our Second Quarter 2009 Laticrete Newsletter is now online. This issue includes information on topics ranging from new products, warranties, marketing tools to customer highlights and more. "..... Helper in a Bag ....."
Anyway, we used some of the 125 to set the deco diamonds. Then, we primed again and poured #86 SLC. Then a skim of 254, then HydroBan and fabric, then set all the tile with 220, using a skim coat of 254 on the substrate and the back of each tile to really adhere the 220. Then grouted with SpectraLOCK and used the Latisil on the perimeter for expansion. The Zero Energy Idea House in Bellevue, WA is designed to show that smart choices can result in a home that minimizes energy use while maximizing comfort and style. The 1,630-square-foot home aims to combine energy generation and conservation techniques to result in total energy bills of less than $40/month! If you are a tile distributor - have you considered selling Laticrete ...? 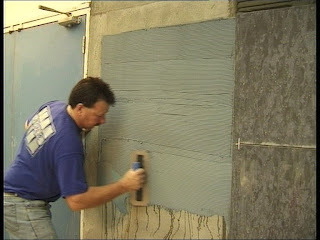 If you are a tile contractor - have you considered using Laticrete on your projects ...? Our base of tile distributors committed to selling Laticrete and our base of tile contractors committed to using Laticrete continues to grow. In "Difficult Times" people often turn to quality, they turn to strong, stable suppliers that they can count on. got a little care package of some 310 and a product guide. Gracious of you to extend these small kindnesses to the little guy. This Floor Warming subject is of growing interest. Not just in cold climates but everywhere that Tile and stone are used as flooring. 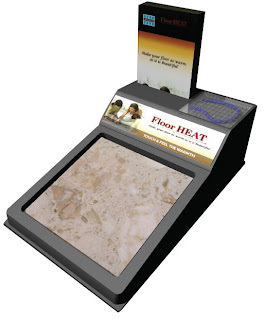 More information is available here about the FloorHeat products in the Laticrete family. Do you know what a "Front End Book" is ...? Do you deal with Construction Management Firms ...? Don't be surprised when you hear the term. Do some research .... Learn what a "Front End Book" is and what the information it contains means to the tile subcontractors bidding a project. Plans, Specifications and the Front End Book are important parts of the Construction Documents on a project. The General Information that applies to all Trades on a specific project. 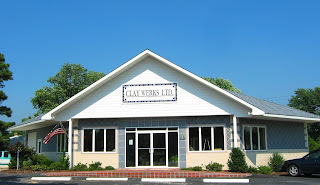 We would like to personally invite you to attend a tile seminar Clay Werks will be hosting on June 9th at 5:00pm. We will be highlighting products from two international companies. Hey, it’s wise to polish ours skills during slow times! Kurt Weber of Laticrete and Joey Miles of Schluter always give a very informative seminar yet make it a lot of fun. >Gain a better understanding of the tile and stone industry. >Learn how to select the most suitable installation materials. >Learn how to solve and avoid job problems. >Learn trade definitions, performance requirements and industry standards. You are welcome to bring crew members, please RSVP by June 8th so we know how much food and refreshments to have on hand. If you can not attend feel free to stop by our showroom Monday thru Saturday from 9:00 to 5:00, we always have product sheets & CD’s to make your job easier! Have you had a Laticrete rep out on one of your jobsites ..? Our guys are here to support you and your efforts. Let us know when you want us to be on your jobsite - to demonstrate, to train, to provide answers to installation questions. I have recently been sending samples of our Latapoxy 310 Rapid Repair Kits to tile and stone contractors. See my post below. See information about the product here. Just had an interesting conversation with a commercial tile contractor about a tile-over-tile installation in a food store. Usual issues .... store is in operation and work needs to be done at night. New tile is to be installed over existing tile so cleaning and surface prep is an issue. We've got a great "track record" and history & experience with new tile over existing tile with Laticrete materials. For specific product info click here. To read a technical paper on the subject click here. When we talk about Jobsite temperatures and the installation of tile and stone we are usually more concerned with SURFACE temperature than we are with air temperature. 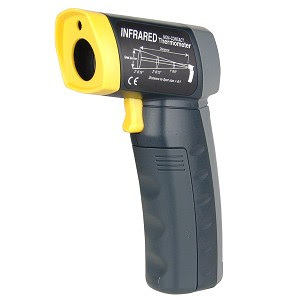 There are some simple, reasonably priced tools to make surface temperature measurement quick and easy before installing waterproof membranes, thinsets, tile & stone. There are 300+ million people in the USA. Growing up, getting married, having babies, wanting to take a vacation, wanting to remodel their existing homes or wanting to buy a new home. In general people like tile and stone. And I'm in the Tile & Stone business. The world economy will recover, the American economy will recover. And people will build. Homes, Hotels, Hospitals, Schools. Commercial Buildings, Residential Buildings. There has been a tremendous amount of new technology introduced in our industry over the last few years. Some of this technology has been in the area of light weight mortars. Take a look at some of the postings on the John Bridges Tile Forum here. "I got my bags from laticrete a few weeks ago and I like it, but it is weird to work with at first. 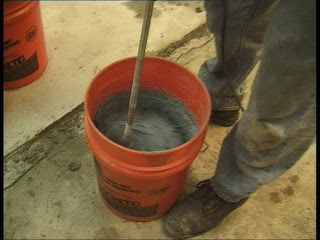 Pouring it out of the bag into the bucket it seems to resemble nonsanded grout to me. My first quarter bucket I mixed w/o measuring water like I normally do thinset, and I got it to wet used it and everything sagged on me. My next batch I measured the water and really liked the results. I will say about Laticrete that their customer service is far and away better than any company I have ever dealt with before. Henry Rothberg, Tim Evans, and even one of their distributers in Denver 180 miles from me have been great to work with." 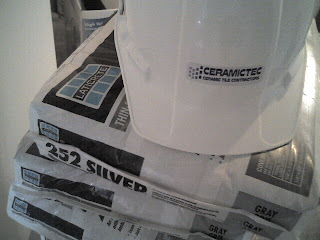 Read more about Laticrete 255 lightweight thinset here.